With the release of Traktor Pro 2.8, Native Instruments introduced a number of added features and updates, including a new 64-bit architecture. 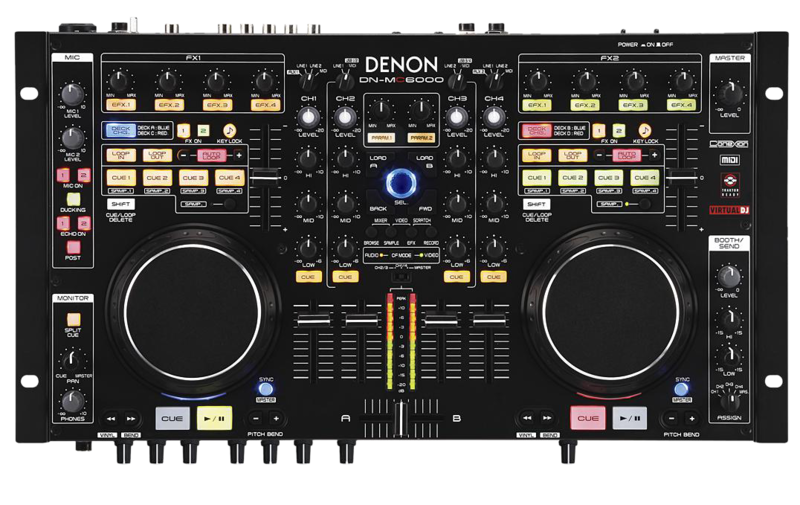 This article walks through how to set up your current Denon DJ hardware, such as the MC3000, DN-MC6000, DN-X1600, DN-X1700, DN- HC4500 and DN-SC2900, with Traktor Pro 2.8 on a Windows operating system. Supported Denon DJ hardware products will work with Traktor Pro 2.8 on both Windows and Mac operating systems. On a Mac operating system, the Denon DJ MC3000, DN-MC6000, DN-X1600, DN-X1700, DN- HC4500 and SC2900 are class-compliant and do not require any additional driver installation in order to function as expected in Traktor Pro 2.8. Running Traktor Pro 2.8 in 32-bit mode. Note: Traktor Pro 2.8 32-bit allows you to access an additional 1GB of RAM (if the computer has it available) providing for additional performance and stability. Download the ASIO4ALL driver. Once downloaded, run the installation file and follow the prompts to install it. Connect your MC3000, DN-MC6000, DN-X1600, DN-X1700, DN- HC4500 or SC2900, ensure it is powered on, and launch Traktor Pro 2.8. In Traktor, choose File > Preferences to open the preferences window, and then choose Audio Setup from the left column. In the right column next to Audio Device, choose ASIO4ALL v2. To the right of the Latency row, click on the Settings button to open the ASIO driver panel. Click on the button next to your hardware device option (in this example, I am using the DN-MC6000) to enable the Denon hardware as an audio interface. Click on the Tool (wrench) button to show the expanded ASIO options. Click on the + (plus) button next to your device to view the expanded options below and ensure that they are actively chosen. You can adjust buffer and latency settings in this window if you so choose. Once finished, Close the ASIO driver panel to get back to the Preferences window. In the left column of the Preferences window, choose Output Routing and route your outputs as desired. In this case, outputs 1 and 2 are routed to the Master output, while outputs 3 and 4 are routed to the Monitor output. Now choose Controller Manager from the left column. Click in the box next to Device to access the drop-down menu. Choose Import TSI > Denon > Your Device. Finally, in the upper-right corner of the Controller Manager window, choose your Denon device as both the In-Port and Out-Port. Close the Preferences window and you are ready to begin! On Windows, you can also choose to run Traktor Pro 2.8 in 32-bit mode if you want to continue to use the Denon DJ driver instead of ASIO4ALL as suggested above. The added benefit to doing this is that the 32-bit version of Traktor Pro 2.8 allows you to access an additional 1GB of RAM (if the computer has it available), providing for additional performance and stability. To launch Traktor Pro 2.8 in 32-bit mode, we recommend following the steps suggested below. Navigate to C:Program FilesNative InstrumentsTraktor 2. Rename the Traktor.exe file to Traktor_64.exe. Now navigate to C:Program FilesNative InstrumentsTraktor 2x86. Rename the Traktor.exe file to Traktor_32.exe. To launch Traktor 2.8 in 32-bit, double-click the file that you just renamed Traktor_32.exe. And that's it! The rest of the setup is identical to setting it up in the earlier versions of Traktor Pro. Simply follow the steps suggested above, but choose the appropriate Denon DJ driver for your device.